I just found this very sweet little MAN on Flickr. It comes from ScaniaTheKing87’s Photostream. The little TGL must be used for promotional work as it’s bigger brother was also photogrpahed at the same time. 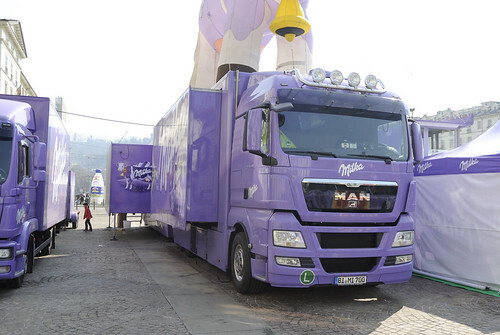 If you look closely you can see a huge inflatable Milka cow on the top of the truck. 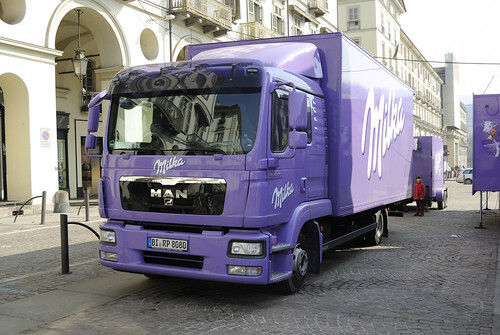 The photos were taken in Torino and the plates are German so clearly promotional tour work for these 2 Milka men. This entry was posted in Drivers Photos, MAN by truckbloguk. Bookmark the permalink.